But this afternoon I decided to take out the old bike for an hour or so. 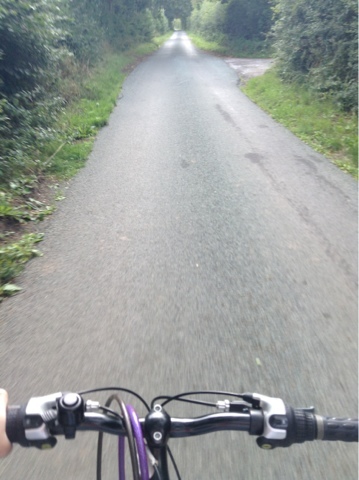 It was so relaxing listening to music and happily cycling along... Until I fell off. I'm quite a clumsy person normally but I think falling off a bike is more than a bit clumsy! Luckily no one was around to see and it was down a country lane haha! I'm alright, escaping with a few cuts and bruises! Oh well, what shall I do tomorrow? Hahaha..
i havent been on a bike ride in so long!